“Being self-conscious in a big universe is a darn good thing,” says the award-winning comedian, writer, science buff and big thinker. In this new show Ince will celebrate the work of some of his favourite scientists – Charles Darwin, Richard Feynman – and share the answers to such head-scratching questions as ‘why do we have eyebrows?’, ‘why do bald dogs have bad teeth?’ and ‘why does spaghetti snap into four pieces?’. 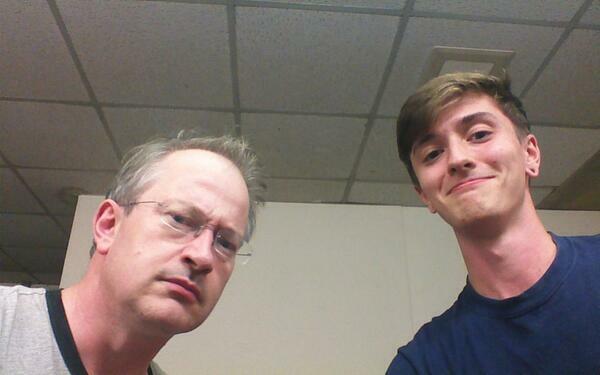 Robin Ince is best known as a comedian and populariser of scientific ideas. He is the creator and co-host of the podcast Robin and Josie’s Book Shambles, which gains over 100,000 hits a month, as well as the weekly music podcast with Michael Legge, Vitriola, which mixes nonsense, arguments and discussions on the latest music releases. He continues to present the Sony Gold Award winning BBC Radio 4 series The Infinite Monkey Cage with Professor Brian Cox and has toured solo shows about consciousness, Charles Darwin, and physics. He wrote the book, The Bad Book Club, and has edited and written short stories for two volumes of Dead Funny: Horror Stories by Comedians, as well as writing and presenting documentaries about the history of self-help, comedians and melancholy, Jeff Wayne’s War of the Worlds, Schrodinger’s Cat and General Relativity. He has curated, produced and hosted numerous nights mixing science, music and comedy at the Hammersmith Apollo and across the UK. Recently, he has received Honorary Fellowship of UCL, an honorary doctorate from Royal Holloway College (University of London), and is a fellow of the British Science Association. Numerous TV and radio appearances include Just a Minute, Mock the Week, and Never Mind the Buzzcocks. Robin has won three Chortle Awards, including the Time Out Outstanding Achievement Award and was nominated for Best Live Show at the British Comedy Awards. @robinince @PictishTrail What time do you finish? Come on down. Johnny on until 11, I guess. Only five-min walk from Colston Hall.